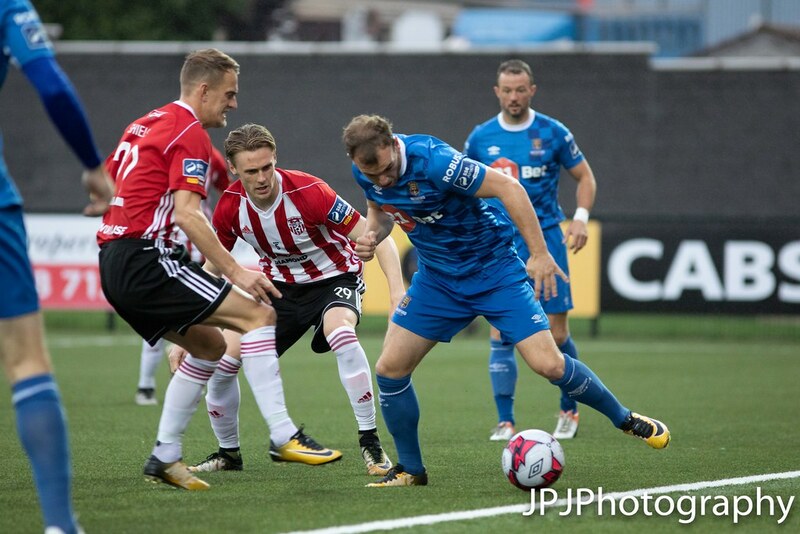 Waterford took another mammoth step towards European qualification by beating Derry City 2-1 at the Brandywell on Friday night. 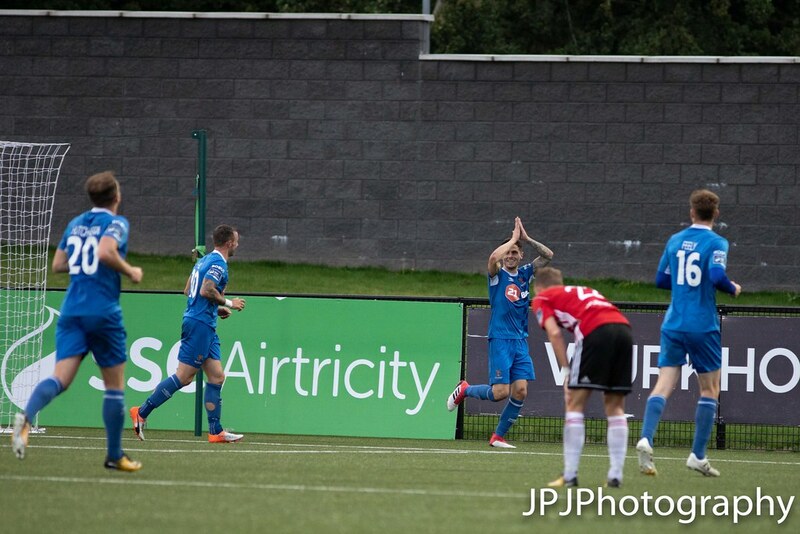 Gavan Holohan scored on the stroke of half time to earn the Munster men a deserved three points after Dean Shiels had cancelled out the Blues' Dessie Hutchinson's early opener. It was Waterford who started the game the brightest, moving the ball well all over the park and settling into an early rhythm. 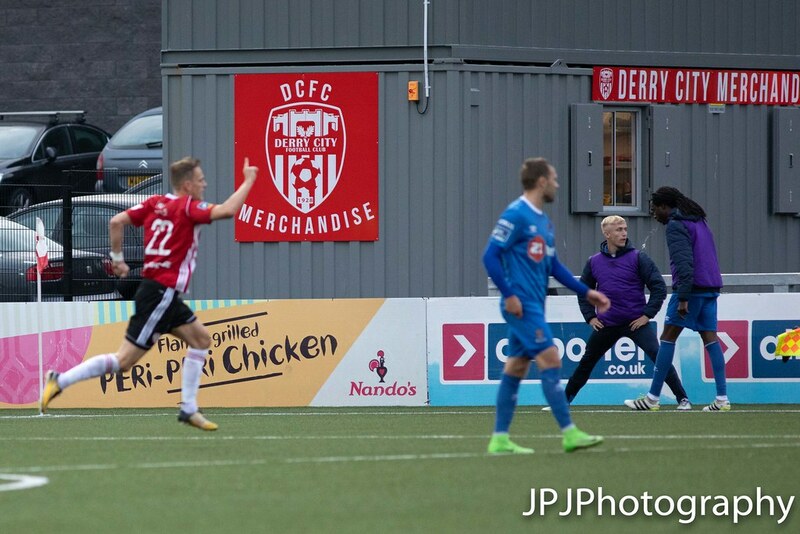 From the first attack, Sander Puri dinked the ball into the path of Gavan Holohan who was in one on one with Gerard Doherty, but the linesman rose his flag for offside, bringing the attack to an abrupt end. The visitors had the ball in the net minutes later as Hutchinson played a neat one-two with Noel Hunt on the edge of the area before driving into the area to receive the returnand blasting into the net. The strike sent the sizeable visiting support into euphoria after they had already made their voices more than heard in the opening ten minutes. Derry had their first attack in the 11th minute, finally getting out after being camped in their own half. Ally Roy showing great feet out the left to beat his man and whip in a cross towards Ronan Hale only for Garry Comerford to nip in and intercept. 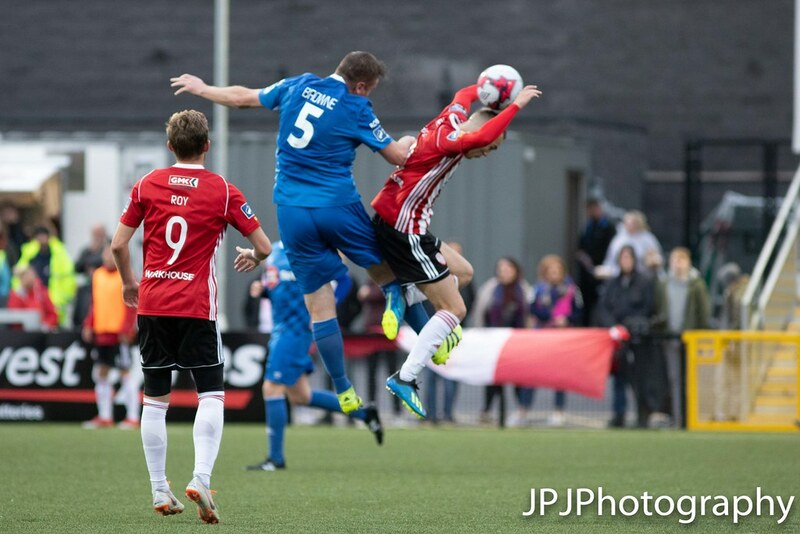 Kenny Shiels’ men had their best spell on the half hour mark with a succession of corners. One was knocked into the area towards the back post for Ronan Hale and he skilfully played it back across the face of goal to Gavin Peers, whose header was blocked on the line. 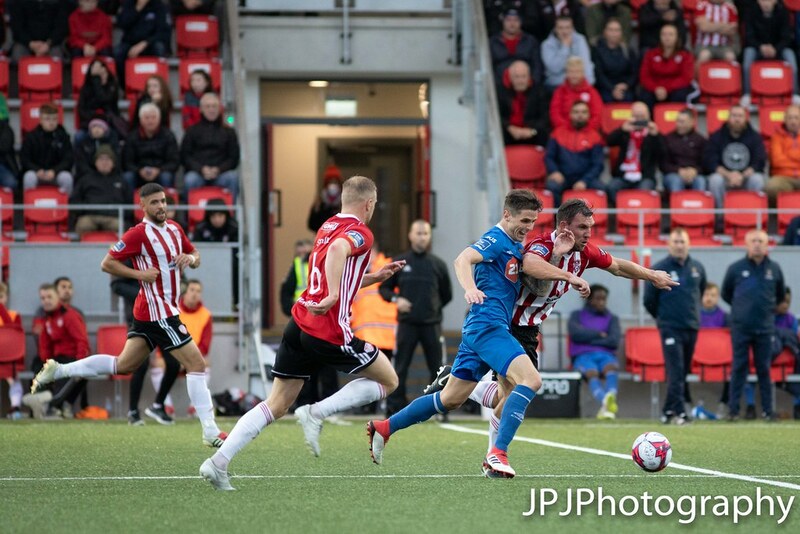 Soon after, Derry had their equaliser as Rory Hale’s cross only half cleared by Hutchinson into the path of Shiels, who made no mistake in calmly slotting into the net. Hunt’s curled effort from a free out to the right of the box struck the side netting, prompting cheers from away supporters who thought it was in. 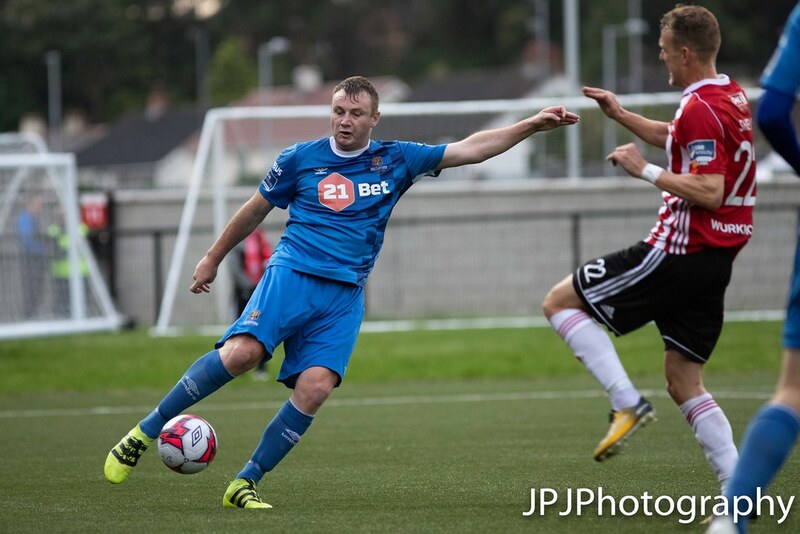 Gavan Holohan sent his side in leading at the break when his strike on the stroke of half time wrongfooted Gerard Doherty and sailed into the left corner of the net. Alan Reynolds' men once again started quickest with Izzy Akinade weaving his way into the box before forcing a save from Gerard Doherty. City had their first chance of the second period when a long ball from Darren Cole got Roy in behind. It looked like perfection from Roy as he turned two defenders, and his shoot looked destined for the left corner of the net only to land just wide of the post. 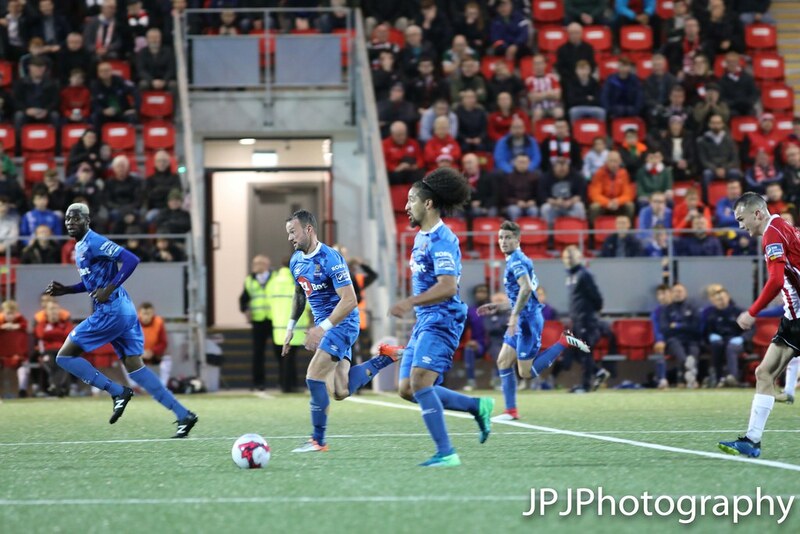 The men in blue continued to control the game and Kevin Feely sent the ball into the area for Akinade. The striker got in front of the defender and caught the ball on the volley only for Doherty to parry away. It was wave after wave of blue attack, and Hunt was next to go close, heading Feely’s inviting ball over the top. 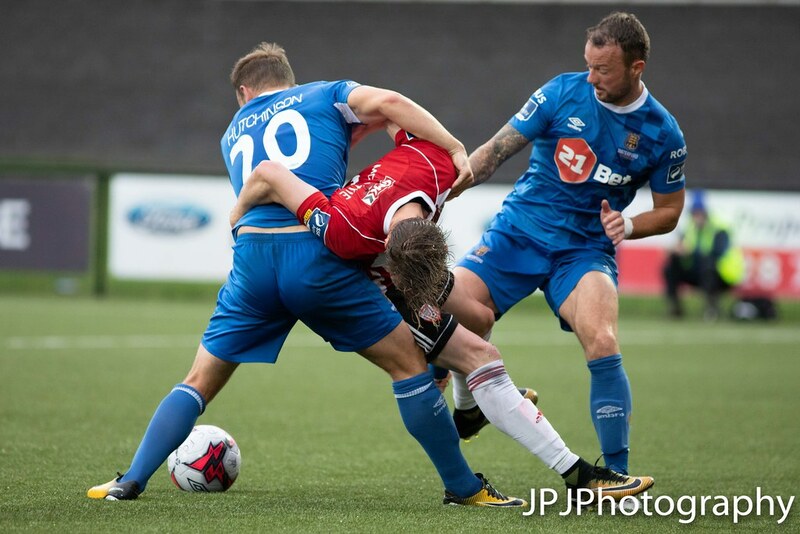 Waterford rather comfortably saw out four minutes of additional time to claim a 2-1 victory and the three points in what was a six-pointer for the final automatic European spot. 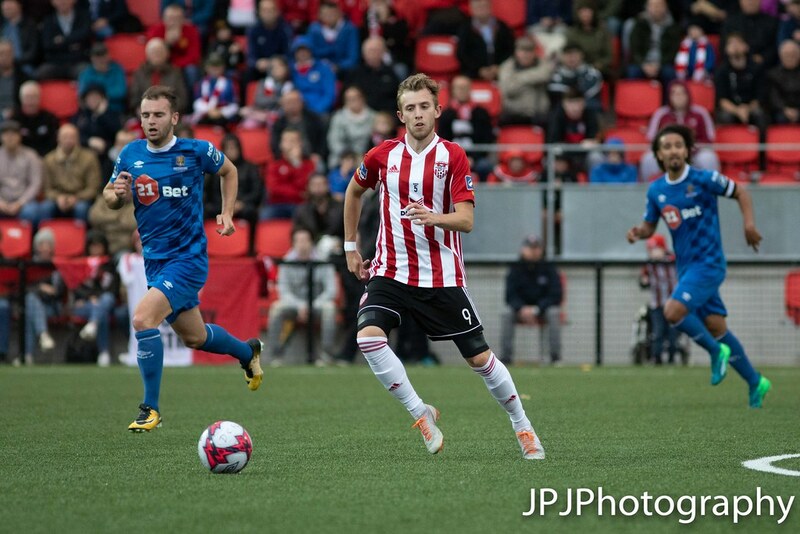 Derry City: Gerard Doherty; Darren Cole; Gavin Peers (Jamie McDonagh 87), Danny Seaborne, Kevin McHattie; Aaron Splaine (Ben Fisk 70), Aaron McEneff, Rory Hale, Dean Shiels; Ronan Hale, Ally Roy. Subs not Used: Eric Grimes (gk), Conor McDermott, Eoin Toal, Cathal Farren, Adrian Delap. Yellow Cards: Gavin Peers (41). Waterford: Matthew Connor; Gary Comerford, Kenny Browne, David Webster, Rory Feely; Sander Puri, Dessie Hutchinson (Paul Keegan 85), Bastien Héry, Gavan Holohan; Noel Hunt, Izzy Akinade (Dean O’Halloran 77). Subs not Used: Niall Corbet (gk), Noe Baba, Dylan Barnett, Carlos Wilson, Renars Rodd. Yellow Cards: Noel Hunt (60), Dessie Hutchinson (82). Extratime.ie Player of the Match: Bastien Héry (Waterford).